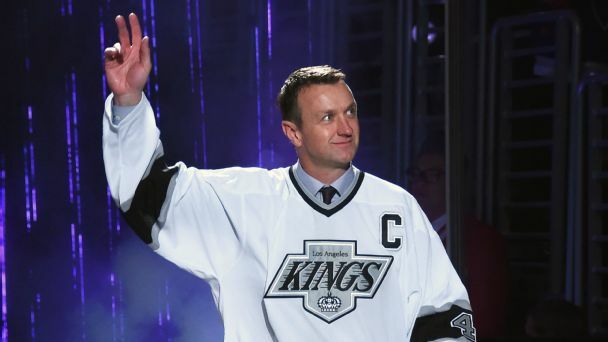 Los Angeles has just one playoff win since its 2014 Stanley Cup title, and its new GM has inherited one of hockey's tougher jobs. The franchise legend is leaning on the lessons he learned about preparation while growing up on his family's farm. 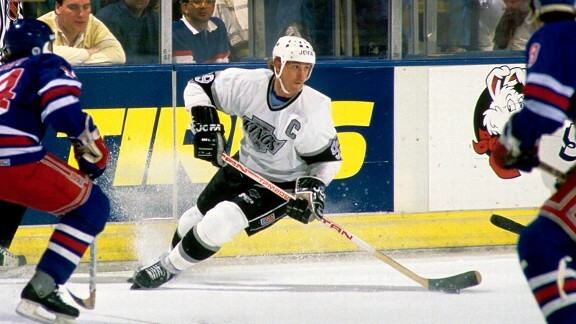 After Wayne Gretzky was traded to L.A., hockey became cool in California. 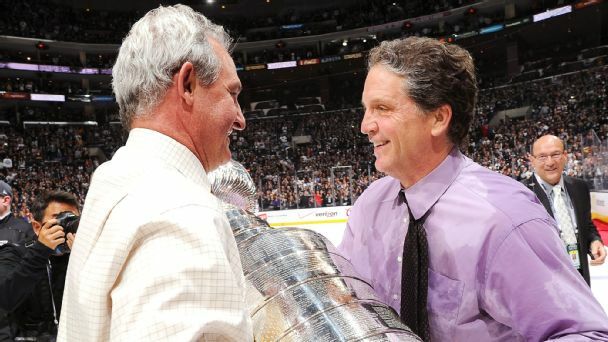 But later Luc Robitaille helped transform the Kings from expansion outliers into one of the NHL's reigning teams. 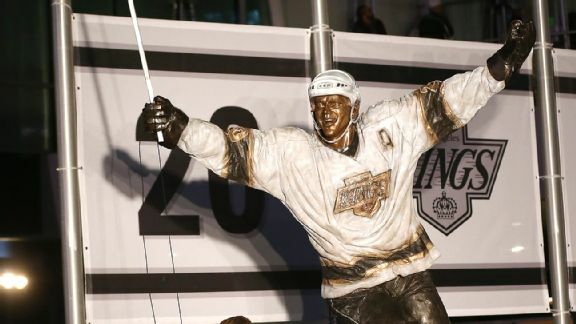 Luc Robitaille is the latest Los Angeles sports great to be immortalized in bronze in front of Staples Center.